It's not all bad news for Duncan though, as he strikes up a friendship with new doctor Tori. But it's clear a rather complicated love square could be brewing. 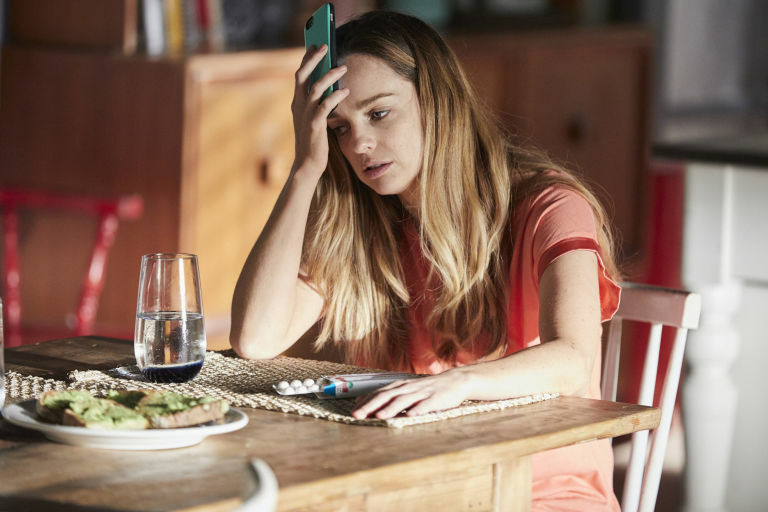 While Tori (Penny McNamee) might be keen to get to know mysterious returnee Duncan, she has an ulterior motive - she's trying to distract herself from her growing feelings for Nate. A host of mixed signals leave the two medics in different places - with different people. But while Tori bonds with Duncan, Nate decides to throw caution to the wind and make a go of it with Danika - a youth liaison officer. Nate (Kyle Pryor) later opens up about his complex love life during a chat with Chris, admitting that he likes Tori more than Danika but Tori made it clear she isn't interested... or at least he thinks she did. Chris encourages Nate to end things with Danika, but when she refuses to take no for an answer, it's obvious that the situation could be about to get a whole lot more complicated. Has Nate missed his chance with Tori? Home and Away airs these scenes on Monday, September 4 and Tuesday, September 5 at 1.15pm and 6pm on Channel 5. It looks like there could be another Home and Away romance on the horizon as Tori Morgan finally decides to say 'yes' to love. But the man she chooses may surprise you. Tori has been immersed in a rather complicated love triangle after Nate Cooper and returnee Duncan Stewart both developed feelings for her. Bur the bigger question was whether Tori felt she could enter into a relationship full stop. After all, her family are in witness protection, meaning they have had to be careful about growing too close to anyone. Now that all looks set to change, though, as Tori's brother Justin suggests that it could be time to relax their rules on relationships. Taking the advice on board, Tori soon heads out on a date with Duncan. Having enjoyed a picnic with Alf's son, Tori decides to take the plunge and kisses him, leaving her colleague Nate well and truly out in the cold. Penny McNamme said toTV Week: "Tori has really closes herself off to the idea of romance. But Justin changes her mind, saying, 'Why don't we open our hearts and let people in?'. "One thing leads to another with Duncan - she gets gutsy and goes in for the kiss. He is the first person she has let herself go with in seven years." But will Tori trust Duncan enough to reveal her family secret? And more importantly, is he really the one she wants? Also ahead in Summer Bay, Tori Morgan finds herself in a complete mess after vowing to take a huge risk by temporarily reverting to her old identity. 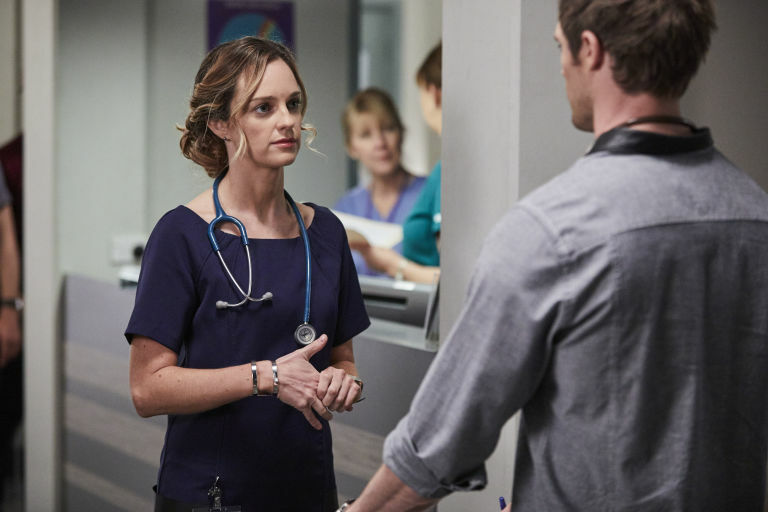 When Tori (Penny McNamee) finds out that her ex-boyfriend Riley Hawkins will be attending the same medical conference as her, she comes under pressure to pull out since he could blow her witness protection cover. Tori's very dangerous Plan B is to attend using her birth name, Tessa Lee, but her family know that it's a bad idea as it could ruin everything they've built up if it all goes wrong. With Tori stubbornly refusing to listen to reason, Mason resorts to some shock sabotage to make sure that his sister can't attend. Mason is aware that Nate Cooper (Kyle Pryor) will be the one to attend the conference if his current plans to join aero-medical charity CareFlight fall through, so he secretly tips off the organisation by revealing that Nate has poor fitness. Sure enough, the CareFlight examiners take the anonymous tip-off very seriously indeed - leaving Nate convinced that Tori was to blame since she's the one who's been treating his strained shoulder. 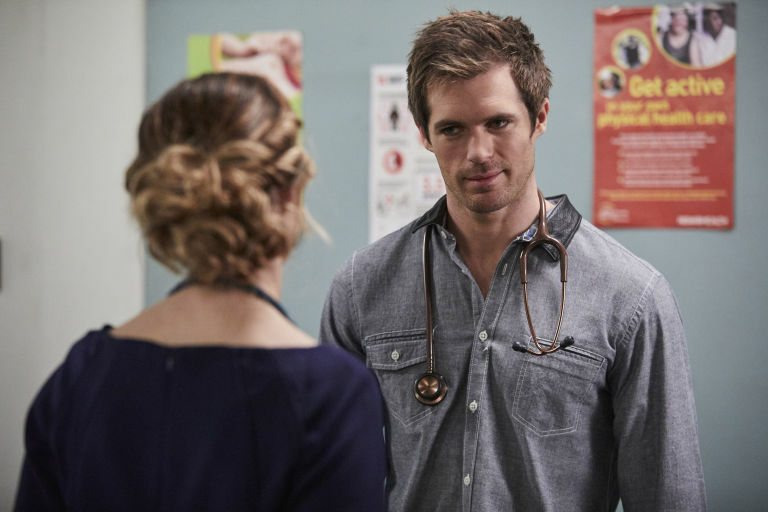 Furious over the apparent breach of doctor-patient confidentiality, Nate is quick to confront Tori over her behaviour, but will he go out for revenge as a result? And could Tori's career now be in trouble if he does take this further? 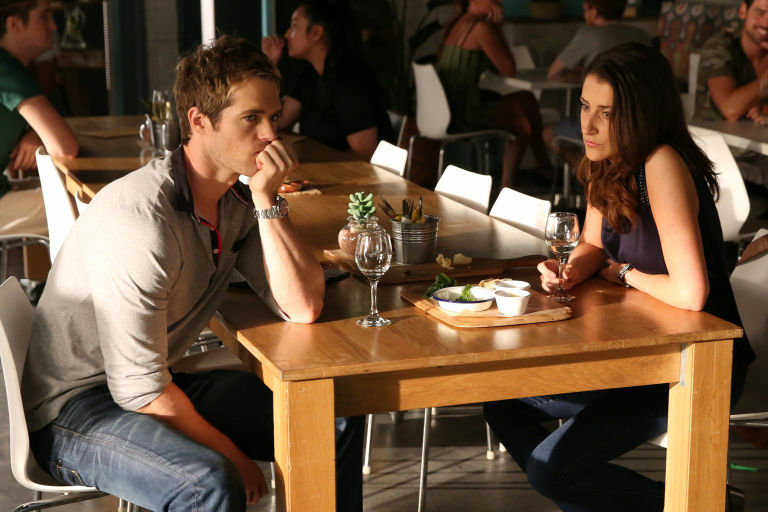 Home and Away airs these scenes on Monday, January 23 at 1.15pm and 6pm on Channel 5. Home and Away's Tori Morgan will be thrown into one of the biggest dilemmas of her career in an upcoming storyline. Tori will be left in an awkward position when budget cuts at the Summer Bay hospital result in her boyfriend Nate Cooper losing his job. When Nate has had time to calm down, he apologises to Tori for his angry behaviour – admitting that he is just worried about his future as he may have to leave the Bay if he doesn't find another job. Realising what is at stake for Nate, Tori decides to step up – later returning to the board where she admits that she made a mistake. Tori will tell her colleagues that she thinks it makes more financial sense if they get rid of Dr Griffin instead – leaving her fellow medic furious that she's putting her relationship before her professional judgement. As Tori is confronted over her decision, the situation soon turns serious when Dr Griffin reveals she knows that Nate is her boyfriend – and now the entire staff do as well. Dr Griffin goes on to declare that she has filed a formal complaint against her, meaning that Tori's job is now on the line as well as Nate's. Could Tori's decision result in her losing both her job and her relationship? And could their new career paths take them out of Summer Bay? Penny McNamee, who plays Tori, told TV Week: "Nate may have to leave Summer Bay, his home, and Tori. It's an awful situation. "Word gets around the hospital about them and there's legal ramifications for Tori. Suddenly her job is on the line too. They could both lose their jobs and their relationship in the process. She will see Riley's true colours when he tries to get Nate into trouble re his handling of Billie's care (did this just happen in Friday's UK episode?) - but even though she does get together (again) with Nate, you will see from some of the upcoming spoilers that there is trouble ahead for those two as well! (plus SPOILER ALERT, there are a couple of posts in both the 'Ash (George Mason)' & 'Home and Away (Aus) spoilers 2017' threads which mention the possible futures for both Tori & Nate). So even more confusion coming, tammyy2j! Also ahead in Summer Bay, Tori Morgan faces a difficult dilemma when she's told to fire Nate Cooper from the hospital in a desperate bid to cut costs. Under pressure from her superiors, Tori (Penny McNamee) is forced to tell Nate that there's no place for him anymore – but he's upset that she didn't fight for him more and makes his feelings clear. When Nate later backs down and apologises for being harsh with Tori earlier, their entire conversation is overheard by a nurse who eavesdrops on every word. Deciding on one last tactic, Tori tells her boss Dr Chung that they've made the wrong decision and that Dr Griffin should be let go instead of Nate. Tori then happily informs Nate she's got his job back, in front of the nurse who heard their earlier chat. Later, a furious Dr Griffin confronts Tori about prioritising her boyfriend after being tipped off by the eavesdropping nurse from earlier. 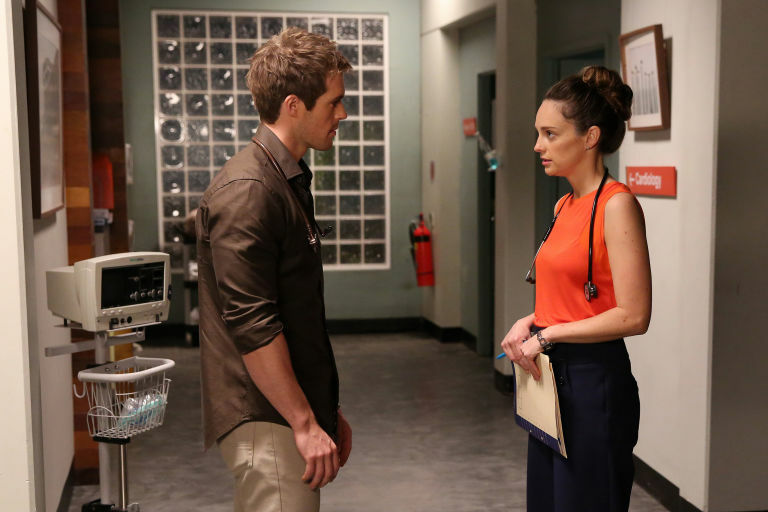 An equally-unimpressed Dr Chung also informs Tori that she's received a formal complaint from Dr Griffin alleging that she decided not to fire Nate because he's her boyfriend. Wanting to make things right, Nate barges into Dr Chung's office and accepts the redundancy, requesting Dr Griffin be kept on in his place. Dr Chung points out this makes things a lot simpler for everyone, but just how easy will it be for Nate to find a new job? Home and Away airs these scenes on Monday, May 22 at 1.15pm and 6pm on Channel 5. Elsewhere in Summer Bay, Brody's sister Tori has dramas of her own to deal with when Nate Cooper abruptly ends their relationship. 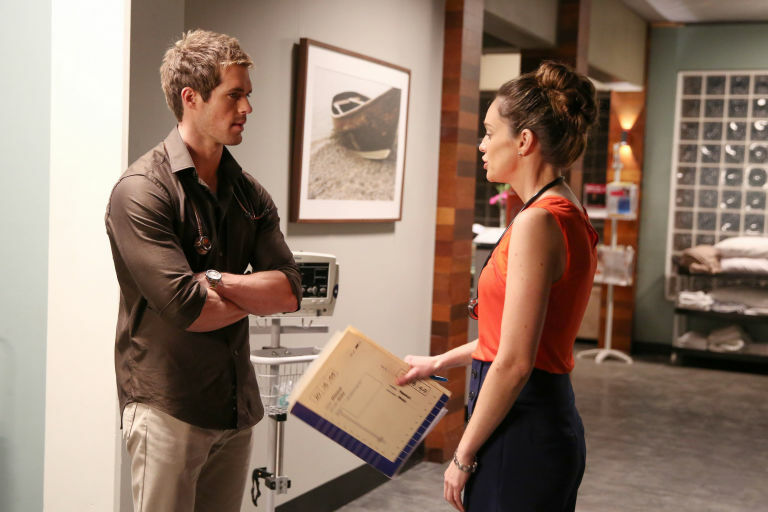 Tori (Penny McNamee) gets more than she bargained for when she encourages Nate to take up a new job opportunity working for CareFlight. Nate has previously turned down the chance to work for the medical charity, but Tori urges him not to reject his dream job just for the sake of her and their relationship. Tori points out that they can still make things work by trying a long-distance romance, even promising that she'll move closer to him in the long-term. Unfortunately for Tori, a despondent Nate isn't so keen on the idea and suddenly declares that it's over between them. While Tori appears to take the break-up well, it seems that she may just be hiding her heartbreak when she hits the bottle and wakes up feeling rough the next morning. How easy will it be for her to get over Nate? Home and Away airs these scenes on Monday, July 17 and Tuesday, July 18 at 1.15pm and 6pm on Channel 5. Photos of Tori (Penny McNamee) filming at Palm Beach with Justin (James Stewart) & Willow (Sarah Roberts) - & also the dog, Buddy!